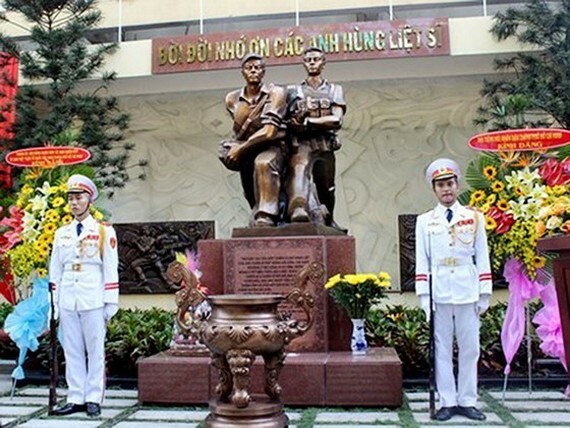 The Voice of Ho Chi Minh City (VOH) yesterday organized a solemn inauguration ceremony of a monument to commemorate soldiers who laid down their lives at the place. Accordingly, the inauguration is to mark the 50th anniversary of the General Offensive and Uprising in the spring of 1968. 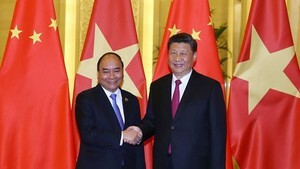 Attending in the ceremony were former Secretary of HCMC Party Committee Le Thanh Hai, Chairman of the Ho Chi Minh City People’s Committee Nguyen Thanh Phong, Standing Deputy Secretary of the Ho Chi Minh City Party Committee Tat Thanh Cang, representatives of families of war martyrs. The memorial site is located inside the head office of VOH at No. 3 Nguyen Dinh Chieu Street in District 1 of Ho Chi Minh City. It was built on area of 79 square meters and sculptured the shape of two soldiers. The construction aims also to express deep gratitude for the war martyrs and the city’s armed forces.